No tickets will be sold at the door. This is a Private Event with a Premium Open Bar Option, Separate VIP Area with Gifting Suite or Bags, Limited Food in VIP, Reserved Tables, Bottle Service, with a Private VIP Entrance. All guests Must be 21 or older, Dress to impress (No sneakers or athletic wear), and we have a right to be selective. 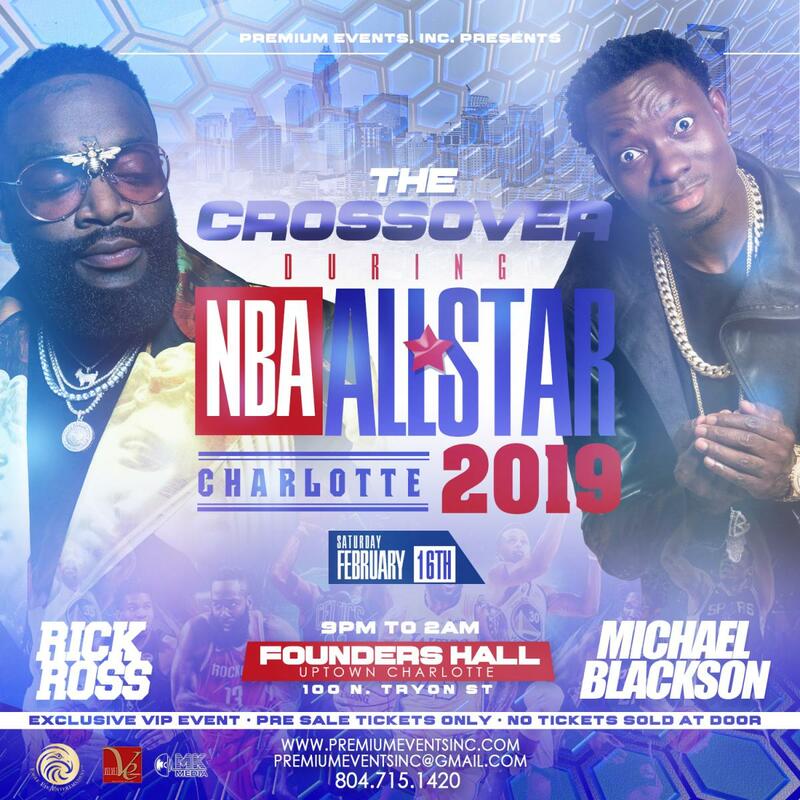 RICK ROSS (Live Performance), MICHAEL BLACKSON (Official Host), DJ INFAMOUS (ATL), DJ KAYOTIK (TX), DJ E SUDD (NC), DJ IOP (ATL/MIA), more TBA. Event Location: Founders Hall (100 N Tryon St – Uptown Charlotte NC) - Less than (1) Block from the Ritz Carlton Hotel, Omni Hotel, Marriott City Center Hotel, Holiday Inn Center City Hotel, Aloft Uptown Hotel, AC Hotel Center City, Residence Inn Hotel, The EPIcentre, The Lynx, (2) Blocks from The Spectrum Center, Charlotte Convention Center, Nascar Hall of Fame.